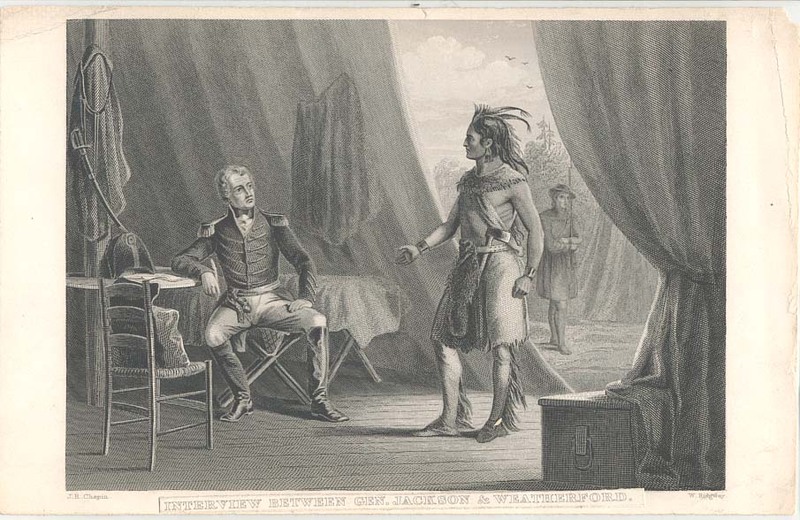 Description: Gen. Andrew Jackson (1767-1845) speaking with William Weatherford, also known as Red Eagle (ca. 1780-1824), in Jackson's tent after the Battle of Horseshoe Bend. Caption: "Interview Between Gen. Jackson & Weatherford."